One to add to the list. Nice catch! Great to know it's in good hands. Thank you all for your comments, likes and interest . I'll post more comments in the preservation thread and set up a thread/blog or Facebook group or something for progress on the bus. Ooh - Forum day out to the Seaside! Thanks chaps . It will be well cared for and hopefully be out and about soon! I'm surprised First have bothered. They haven't retaliated to any of Ensign's previous incursions with the 21 and 81. I have a small suspicion that Ensigns are slowly but surely wanting to take over the town services in the Brentwood area. Perhaps First have woken up to this possibility? From Metroline : Volvo B7TL’s LK04UWU / UWV / UWX / UWY / UWZ / UXA / UXC / UXD / UXE / UXF / UXH LK54FWF / FWG. From Wheelers Travel : Enviro 200 YX11HNT. From Swallow Coaches : Darts LK53FDF / FDC. From Wealden PSV : Tridents T402/3SMV. Dart LX06FBD : Gordon Springate Training, Maidstone. Dart LX06EYT : Red Route Buses, Northfleet. Dart LX06FAA : Bear Buses, Feltham, Middx. Dart LX05EYR : Nu-Venture, Maidstone. Volvo B7TL LJ04YXA : Delaine Buses, Bourne, Lincs. Scanias YN53RYD / RZD : Wheelers Travel, Southampton. Van Hool YJ58FFW : SK Coaches, Southall. Volvo B7TL LX53AYU : South East Coachworks, Faversham. Volvo B9TL’s LX11CVY / CVW : Lothian Buses. Volvo B7TL LX06DZG : Goodwins Coaches, Manchester. Volvo B7TL LX03EDU : UK Bus Dismantlers , Herefordshire. Volvo B7TL LG02KJF : Happy Kids Playbus, Zniwna, Poland. Scania’s YN55NLA / NKS / NKU / NLK : ACME Buses , Bishops Stortford, Essex. Scania’s YR58SNY / SNZ YP58UFV Volvo B7TL LK06DZE : Als Coaches, Liverpool. Scania YN53RYF : Connexions Buses, Harrogate. Dart LT02NVJ : A2B buses, Cambridge. Scania’s YM55SWV / SXA Darts LT02NUM / NUO / NUV / NUU / NVE / NVH LT52WUO / WUP / WUR LT02ZDR LN51DWO Volvo B7TL’s PJ53SOE / SOH / SRU / SPU / SPV : Hardwicks, Barnsley. On Hire to First Bristol : Volvo B7TL’s LK04UXC / UXE / UXF / PA04CYJ Ensign 901 Scania’s YN53RYK / PN09EKT / PO59KFX. Interesting to see 955-957 got sold very quickly indeed, they only arrived last week! Now they've headed up to Liverpool (wish a company in Huddersfield bought them!). Even the commercial fleet are getting rid of their OmniDekka's, as 936 and 946 have now been sold on. Ex Metrobus 6476 moves up to Harrogate. I suspect that it was an agreed pre-sale for 955-957. We do this in my industry as well when direct buyers purchase weeks before availability, it then gets delivered to a location for onward collection by the new owner. From Go-Ahead London : Darts SN51UAD / UAL Volvo B7TLs LF52ZPK LX06DZS / DZT Enviro 200s YX60FUA / FUB / FUG / FUH / FUJ / FUM / FUP / FUT Scania’s PN09EKU PO59KFW / KFY. From Tower Transit : E200 YX61FZJ. From Stagecoach London : Tridents LX03BWN / ORG LX53KAE / KAU / KBE / KBF / KBJ / LX55ERJ / ESN LX06AFZ / AGO. 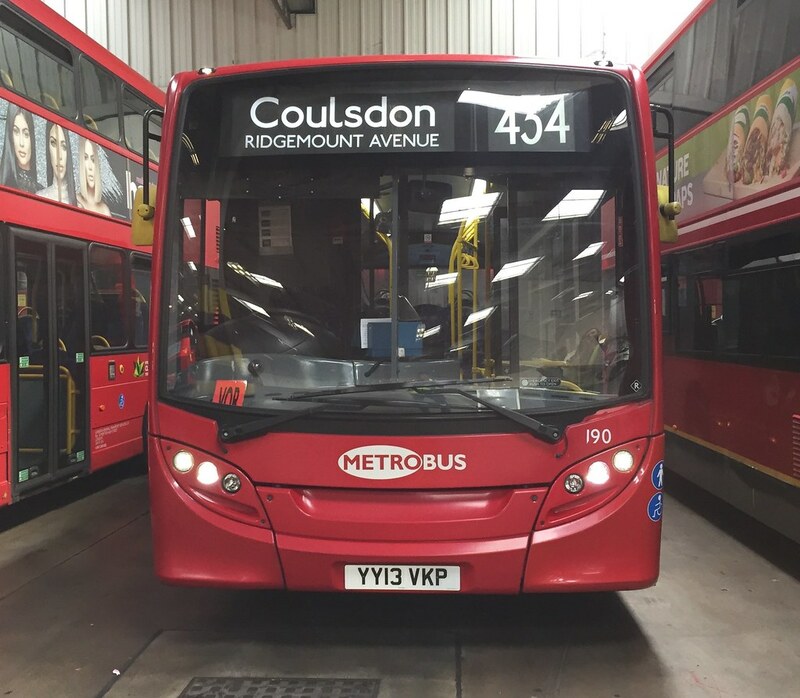 From Abellio London : E400’s SN12APF / APK / APO / APU. From Metroline : Darts LK55KLL / KLJ / KLV. E200’s YX60FUA / FUG / FUJ / FUM : Country Bus, Newton Abbots, Devon. E200’s YX60FUB / FUP / FUT : Canavan Travel, Glasgow. E200 YX60FUH : Grant Palmer, Dunstable. E200 YX61FZJ : Langston and Tasker, Steeple Claydon, Bucks. E400’s SN12APF / APK / APO / APU : Big Bus, London. Dart LK55KLL : Red Route Buses, Northfleet. Volvo B7TL LX53AZN : Valerie Williams, Freetown, Sierra Leone. Enviro 200s YX09AEY / AFK : Faresaver, Chippenham, Wilts. Scania YN54AJX : Hornsby Coaches, Sc**thorpe, Lincs. Olympian S752KBA : Riseandshinesignpost, Eastbourne. Enviro 400 SN11BNY : City Direct, Galway, Eire. Volvo B7TL PG04WHB : Hams Travel, Flimwell, East Sussex. Volvo B7TL LX06DZH : TM Coach Hire, Dunmurray, Eire. Volvo B7TL LJ53BAO : Decker Bus, Peterborough. Volvo B7TL LF52ZPK : Cayley Primary School, London E14. Volvo B7TLs LX06DYS / DZT : Surrey Coach Hire, Kingswood, Surrey. Enviro 200 YX61FZJ : Langston and Tasker, Steeple Claydon, Bucks. Trident T685KPU : Axe Valley, Seaton, Devon. Darts SN51UAD / UAL : Hardwicks, Barnsley. Dart LK55KLV : Red Route Buses, Northfleet. Trident T664KPU : North East Coaches, County Durham. To MC Tractors for scrap : Tridents LG02FAA / FAU T812RFG W824NNJ LX03ORG Darts LX06EYV SN03WMK Volvo B7TL’s LX06DZO / PN02XBO / PJ02RCF. The final Dart, 785, has been sold to Hams Travel, Flimwell. Finally all of the Orpington fire victims are here, they are confirmed as E60, E211, MEC56, EN37, MEC60, MEC54, EN33, SEN21, EH18, E94 & E224. All are going to be cut-up on site and disposed of in skips, with exception of MEC56 and MEC60, which are going to be disposed of by insurers after further forensic examination. My thoughts - Interesting to see that most of the vehicles involved are here to be cut up already - Looks like there was not a single survivor then. From Southern Transit : Scania YN03WRL. From Go-Ahead London : E200 YX60FUD Volvo B7TL’s W534 / 536 / 537WGH Darts LX06EZJ / EZK. From Lothian Buses : Routemasters JSJ746 / 748 Tridents SN04AAV / ACZ / AEC / AEF / ABV / ABZ / ABX / ACV / ACY. From Stagecoach Merseyside : Trident Y526NHK. From RATP London : Darts LG02FHH / SN03LFS. From Dublin Bus : Volvo B9TLs 05-D-70007 / 8 / 9 / 11 / 16 / 20. From Metroline : Darts LK55KLZ / KLE / KLU / KLM / KLO / KLP / KLX / KME / KMG. From Grant Palmer : Trident T885KLF. Tridents SN04AAV / ACZ / AEC / AEF SN53KHZ Darts LK55KLE / KLZ : Aintree Coaches. Darts LK55KMG LX06FBE : Nu-Venture, Maidstone. Darts LK55KLL / KLJ : Centrewest Buses Ltd , Ashford, Middx. Volvo B7TL LX53AZJ : Northcote School, Walton, Merseyside. E400s SN11BNE / BMZ / BNL / BMV / BND / BNA / BMU : Midland Classic, Burton-on-Trent. Scania’s PO59KFY / KFN : Bullocks Coaches, Manchester. Volvo B7RLE GN06EVH : Fourways Coaches, Chelmsford. RML2596 : Ghostbus Tours, London WC1. Volvo B9TLs LX11CVM / CVS LX60DWY / DXG : Lothian Buses. Scania YN53RYB : Xquisite PR Ltd, Leatherhead, Surrey. Volvo B7TL’s LK04HXJ / LX05EYM / FDF : Blue Sky Transfers, Limassol, Cyprus. Scania’s YM54AHV / AHU / YN03WRL : Valero Energy, Pembroke Dock. Volvo B7TL LG02KHX : Brandcruiser Ltd, Glasgow. Trident LX03BWN : FDC Traiteur Ltd, St Genis Laval, France. Trident LX55ERJ : MC Tractors for scrap. From Lothian Buses: Tridents SN04AEY/ADX/AEZ/ABX/ACU/ADX/AEA/ABV/ABZ; Routemasters JSJ747/749. From Go-Ahead London: Volvo B7TL LG02KJA, Y748TGH; Enviro 200s LX10AUY/AUU/AVB/AVD/AUT. From Connexions Buses: Scania’s YN04GMV/GMX. From Go-Ahead South Coast: Citaro’s HF06FTU/FTT/FTP/FTV/FTY. Citaro’s HF06FTU/FTT/FTP/FTV/FTY: Kapnos and Sons Transport Ltd, Larnaca, Cyprus. Enviro 200s YX10BFP/BFV/BGK/BGO/BCU; Scania PF61OXF: Panther Travel, Harwich, Essex. Trident LX53KBF: Gloucester Minibus Ltd.
RML2445: Chestnut Farm, South Ockendon, Essex. Tridents SN51SYA/SYC: Bear Buses, Feltham, Middx. Darts LX06EZJ/EZK: Red RM, Brentford. Volvo B9TLs LX11CWA/CWT/CVR/CVL/CWO; Volvo B9Rs FJ11GLY/MMK/MMU/MLY/MOA: Lothian Buses. Trident V140MEV: J Gallery Catering Ltd, Newbury, Berks. Scania’s YN56FDK/FEG, FJ59APY/FJ09DXP : York Pullman. Volvo B9TLs LX60DXF/DXJ: London Borough of Havering. RML2556; Volvo B7TL LX06DZF; Scania FJ58AJU: Surrey Coach Hire, Kingswood, Surrey. Dublin B9TL 00-D-70016 now LW55AHE with Kent Coach Tours, Ashford. Dublin B9TL 00-D70008 now LW55AHF with Travelmasters , Sheerness. Scania YN53RYK: Connexions Buses, Harrogate. Scania’s YN04GMX/GMV: Galleon Travel, Roydon, Herts. Tridents SN04ACV/ACY: Skills Coaches, Nottingham. Volvo B9R FJ11EYL: Travelmasters, Sheerness. Trident LX53KAE: Crown Christian Heritage Centre, Droitwich. Volvo B7RLE GN06EVL: Lanes Coaches, Dunstable, Beds. Enviro 200s LX10AUY/AUU/AVB/AVD/AUT: Sullivan Buses, South Mimms. Scanias FJ59APX/FJ09DXR: Solus Coaches, Tamworth. From Metroline : Dart LK55KMF E400s LK56FHF / FHP / FHT. From Go-Ahead South Coast : Dart PE55WPP. From RATP Yellow Buses : Dart SN55DVG. From Lothian Buses : Trident SN04AEJ. From Go Ahead London : Dart LT52WUM E200s LX10AUW / AVC Scania’s PN09EKV YT59DYB / DYG / DYM / DYN YN56FEF. From Goodwins Coaches : E400 MMC YX66WLH. From Dublin Bus : Volvo B9TLs 05-D-70001 / 2 / 3 / 4 / 5 / 6 / 10 / 12 / 13 / 14 / 15 / 16 / 17 / 20. From Richardson Travel : Volvo B7TLs PN05SYF / PN52XBP. Volvo B7TL LX06DZS : Priory Coaches, Leicester. Volvo B9TLs LX11CWP / CWR / LX60DXK Volvo B9R FJ11MMF : Lothian Buses. Volvo B9R FJ11GLF : Coach Hire Surrey, Kingswood, Surrey. Volvo B7TL’s W449 / 454BCW Trident SN51SYO : Richardsons Coaches, Midhurst, West Sussex. Volvo B7TL LG02KHT : HOPE Charity , Blackwood, Gwent. Volvo B7TL LG02KJA : Eydetic Ltd, London SW11. Volvo B7TL LX06ECE : Abbey Travel, Erith, Kent. Trident SN04ADU : A and P Travel, Barway, Cambs. Tridents SN04ABX / ABZ / AEL / AEK / ADX / ACU / ABV / AEA : Skills Coaches, Nottingham. Scania’s YN55NLP / NLR : Redfern Travel, Mansfield. Scania PF61OXF / LF61OXF : Lewis Coaches, Blackheath. Scania YN55NKX : Goodwins Coaches, Manchester. Darts SN55DVG / PE55WPP : Galleon Travel, Roydon, Essex. Dart LK55KLU : Aintree Coaches. Scania FJ58AJV : Solus Coaches, Stafford. Volvo B9Rs FJ11MME / FJ61EYL : Seaford and District. Scania PN09EKR : Uttlesford Playbus, Saffron Walden, Essex. Tridents LX03BXU / SN53KHV : WB Chambers, Maidstone. Scania YN56FEF : York Pullman. Trident LX06AGO : Google, London W1. Dublin B9TL 05-D-70007 now LW55AJU with Sussex Coaches, Steyning. Dublin B9TL 05-D-70009 now LW55AHZ with Travelmasters, Sheerness. Dublin B9TL 05-D-70011 now LW55AJX with Travelmasters, Sheerness. Dublin B9TL 05-D-70020 now LW55AJV with Travelmasters, Sheerness. Dublin B9TL’s 05-D70003 / 70013 : Hilton Coaches, Newton-le-Willows, Merseyside. These are being registered by the operator so I do not have UK IDs. E400 MMC YX66WLH into fleet as 132. These 66 plate MMCs from Go Goodwins have been up for sale for a while, YX66WLJ (the other one) was sold ages ago to Yelloway Coaches, after roughly a year of use at Goodwins. I believe the reason for this is that they were used on schools and were getting damaged, and as Goodwins spent a lot of money on them they were not happy about it, so bought some ex AL VLAs to replace them so they could sell them on. Not surprised Ensigns have kept this one, but will be unusual to see as there aren't any E400s let alone E400MMCs in Ensigns fleet.